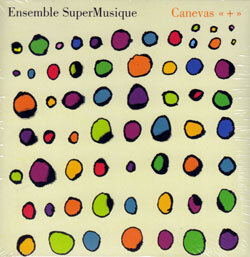 With two magnificent albums and more than 100 concert performances, the masterful dialog from this working string trio of Canadian, European and American players--Tristan Honsinger on cello and voice; Joshua Zubot, on violin; Nicolas Caloia on double bass--is evident in their thrilling exchanges and dynamic approaches to both rapid and reflective improvisation. 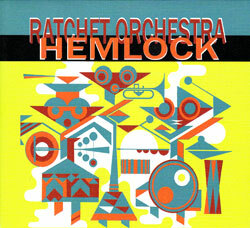 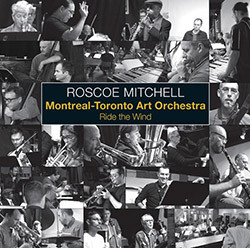 Reedist and composer Roscoe Mitchell in a collaboration with the Montreal - Toronto Art Orchestra, an extraordinary group of improvising musicians comprised of 6 woodwinds, piano, vibraphone, tuba, 2 each of trumpet, trombone, viola, string bass and drums plus Mitchell on sopranino saxophone, a profoundly elaborate and absorbing work for a large improvising ensemble. 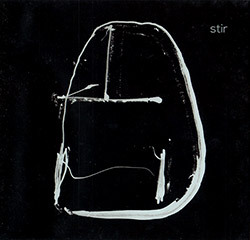 The Montreal free improvising trio Still of Nicolas Caloia on bass, Peter Valsamis on drums, and Yves Charuest on saxophone is joined in the studio by visiting Spanish pianist Agusti Fernandez for a superb set of detailed and energetic free jazz, 6 pieces titled "(un fold)" I - VI, making an album of first rate and exciting collective music. 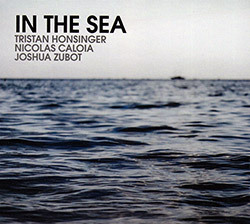 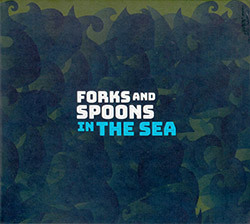 The transatlantic string trio of Amsterdam-based cellist Tristan Honsinger (also on voice) with Montreal free improvisers violinist Joshua Zubot and double bassist Nicolas Caloia in an album of informed improvisation that bring an upbeat approach to authoritative dialog which is both sharp-witted and irreverent, but never less than engaging. 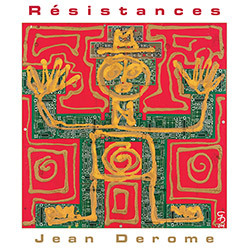 Bridging contemporary and improvised music, Montreal double bassist Nicolas Caloia wrote these pieces for textured and impossible rhythms; blending pieces by Nancarrow and Grand Master Flash; and manipulating poems by Genevieve Letarte; with supporting improv from Jean Derome & Lori Freedman. 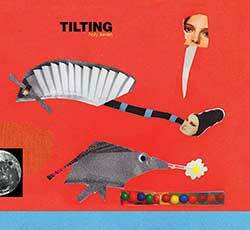 Eleven songs by Montreal trombonist Scott Thomson, settings of poems by P.K. 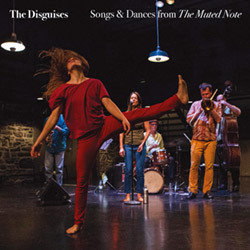 Page (1916-2010), one of Canada's distinguished literary figures, in a band with Pierre Tanguay on drums, Yves Charuest on sax, Nicolas Caloia on double bass, and Susanna Hood on vocals. 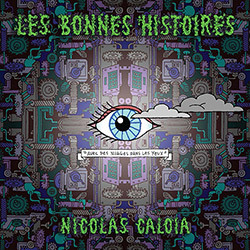 Bassist Nic Caloia (Ratchet Orchestra) with his Montreal based quartet of pianist Guillaume Dostaler, drummer Isaiah Ceccarelli and Jean Derome on baritone sax and bass flute, in an album of great compositional mood and creative playing. 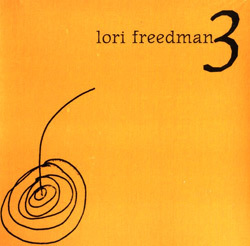 Clarinetist Lori Freedman brought together 3 distinct trios over the course of 3 consecutive nights with a total of 6 other Montreal musicians for live encounters of improvisation. 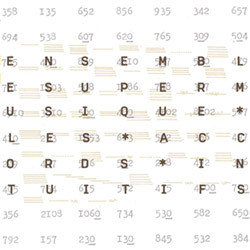 A collection of 14 excerpts taken from five different concerts between 1998 and 2004 by Ensemble SuperMusique that include improvised and composed music as well as improvisation frameworks. 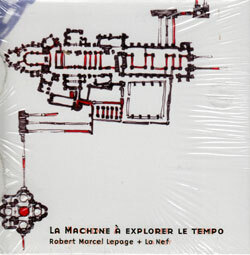 "The Tempo Machine" is a work written by Robert Marcel Lepage for the ensemble La Nef which explores three music-time paradoxes: passing time, running time, and slipping time. 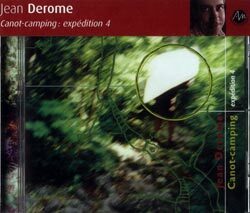 Excellent recording made while on a canoe and camping trip by 11 improvisers from the Montreal musique actuelle scene on their fourth expedition of the kind.